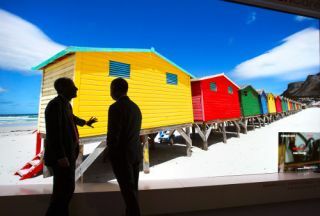 SiliconCore Technology will launch its modular Sunflower P3.0mm LED Display at InfoComm, showcasing how it can be used to build LED patterns, as well as showing its first touch screen interactive LED display at Booth N1357 (North Hall, Las Vegas Convention Centre). As with all SiliconCore products, the Sunflower utilises the Common Cathode technology which reduces power consumption, therefore reducing the heat dissipation, resulting in market leading total cost of ownership. These benefits are now available for integrators with projects that require unconventional display shapes for creative installations, whether in retail or corporate spaces. The Sunflower will be available in 192mm x 96mm (7.6” x 3.8”) panels that are joined together on a metal frame through a magnetic system, enabling simple installation and integration. The Magnolia 1.5mm LED display that launched in February 2014 will be shown at InfoComm and used to create an interactive LED touchscreen. Featuring an 11 point touch capability, the product will showcase how the viewing angles and cool running of the SiliconCore LED displays make it a platform for large scale interactive displays. This LED display technology features a small pixel pitch on the market in HD format. The design of the Common Cathode LED driver circuits enables close proximity applications. The SiliconCore booth will also feature an Orchid P1.9mm display in a 165” screen size, featuring passive 3D technology on an LED display. For applications that will be viewed from further a-field, a portrait format Orchid P1.95 and Peony P2.6mm walls will be featured.